Thanks to Ted Wilush for identifying the ship as either the Charles S. Hebard or the Charles A. Paul. Both ships sailed for the Wilson Transit Company. The Charles S. Hebard was launched in 1906 while the Charles A. Paul was launched in 1907. The Charles S. Hebard toiled the Great Lakes until 1965 when it was sold to the Medusa Portland Cement Company for use as a dock. The Charles A. Paul started life as the General Garretson for the Gilchrist Transportation Company. The ship was acquired by the Wilson Transit Company in 1913 where she was first renamed the E.J Kulas in 1935, the Powhatan in 1936, the Charles A. Paul in 1937 and finally the B.F. Jones in 1956. The ship was scrapped in 1973. 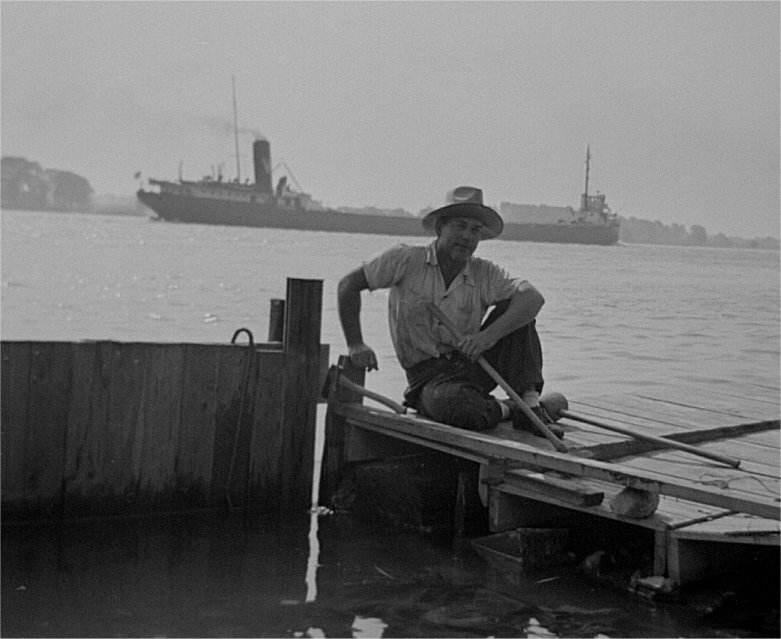 If you would like to see a color photo of the Charles S. Hebard, please click here. 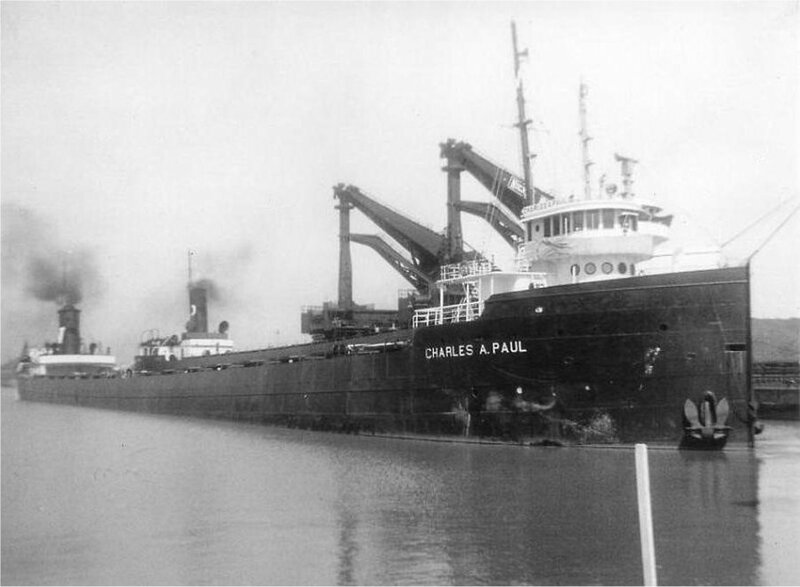 If you would like to see another photo of the Charles A. Paul, please click here. This is a Wilson Marine Transit vessel, most likely Charles A. Paul or Charles S. Hebard. Charles Hebard can be seen sailing by in the early part of a "Route 66" episode (inside on a bridge), s1/ep30 (1961) filmed on site in Cleveland, Ohio. Can not be the Paul because the Paul had a "doghouse" aft of the stack.